Kind of a rough week here at Planet Lippstone. More on that in a bit. We literally ran into her on the street in Lisbon, Portugal, Christmas Day 2011. It was hard not to. She was leading the way, and her trusting owner was just along for the stroll. Nina, you see, refuses to wear a leash. I’d be nervous with all the traffic, but she seemed to do just fine. She pawsed long enough to pose. Nina’s named for the late, great Nina Simone. Feisty — and fitting. 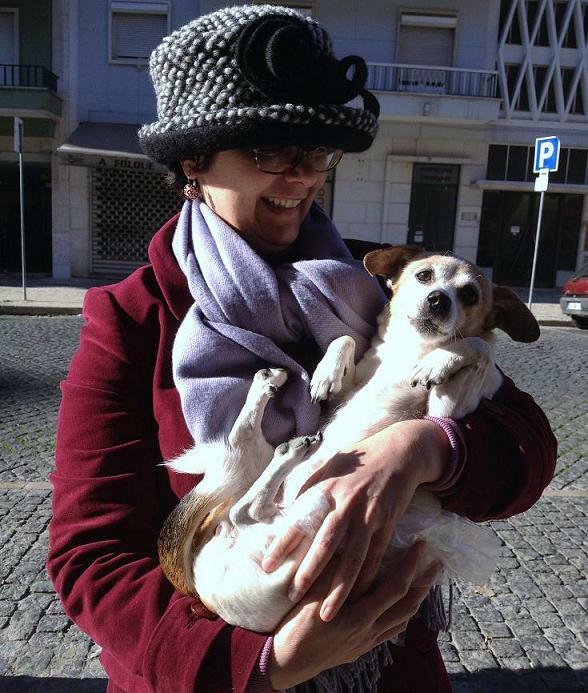 This entry was posted in Let's Paws: I break for critters and tagged dogs, Lisbon, Nina Simone, Portugal, travel. Bookmark the permalink. I loved Nina Simone and I love your Nina from Portugal, too.